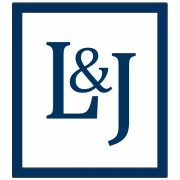 January 2016 - La Cava & Jacobson, P.A. 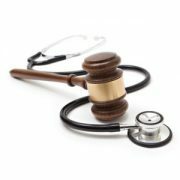 Lou La Cava and David Young obtained a dismissal of their client in a medical practice case filed in Volusia County. The Plaintiff alleged that the ophthalmologist was negligent in failing to properly follow and treat Plaintiff’s glaucoma. The Plaintiff alleged that he lost significant vision as a result of the treatment. After several years of litigation and the deposition of Plaintiff’s ophthalmology expert, Plaintiff dismissed the case against the physician without a settlement payment being made. Lou La Cava and Vicki Jobling tried a brain damaged baby case in Hillsborough County that resulted in a hung jury. The plaintiff alleged negligence on the part of the ob/gyn in failing to timely deliver the baby which resulted in severe neurological injury. The defense argued that the treatment rendered was appropriate. The jury was deadlocked 4 to 2 in favor of the defense.